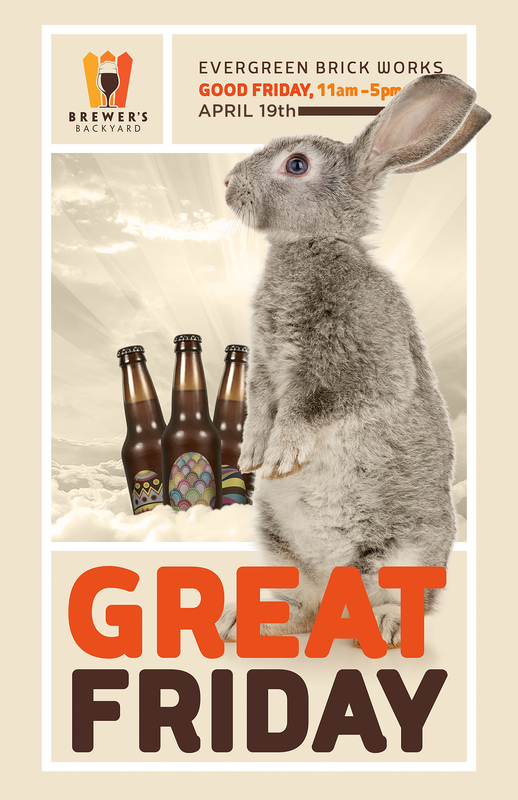 To help kick off the Easter long weekend, Brewer’s Backyard is back for our special “Great Friday” event on Good Friday on April 19th at the Evergreen Brick Works. We will be welcoming nine breweries from across Ontario pouring delicious beers from Shacklands, Goose Island Brewhouse, Junction Craft Brewing, 5 Paddles, Exchange Brewery, Nita Beer Company, Merit Brewing, Red Thread Brewing, and People’s Pint Brewing Company. They will be accompanied by a tasty food line up with FeasTO, Food Dudes, Meltdown Cheesery, Delite Bite, and Dogg Shoppe. We will be on from 11am – 5pm (note the early start) in the Pavilion areas of the Evergreen Brick Works. We will be having a “First Call” special with all beers $1 off for the first hour. So the early bird gets the beer! Admission is free, the event is all ages and no tickets are required. However, beer will only be sold until 4:30pm and last pour will be at 4:45pm, so come early to enjoy the best selection and opportunity to enjoy some delicious Ontario beer and food. Let’s kick off spring in style – we hope to see you there! Follow us on Twitter and Instagram for the latest updates, and we hope to see you there!